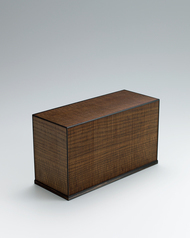 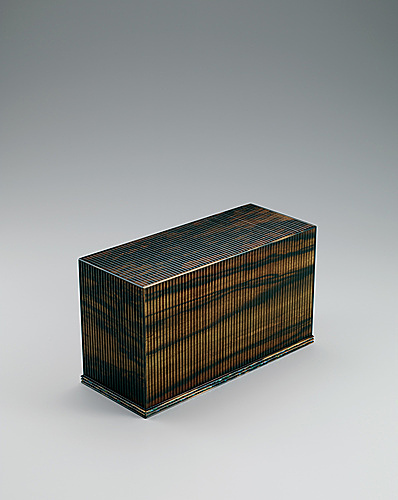 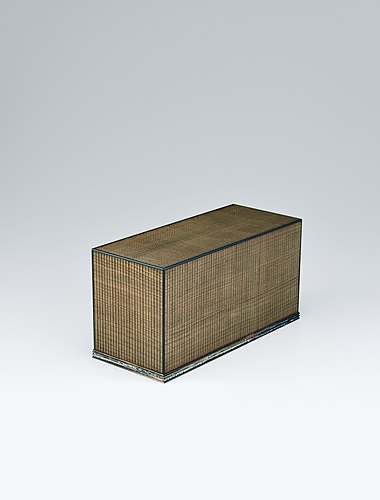 Coffer of black-streaked persimmon wood finished in wiped urushi. 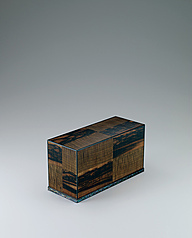 Coffer of black persimmon wood and jindai chestnut wood in mosaic. 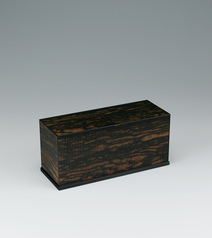 Box of black persimmon wood finished in wiped urushi. 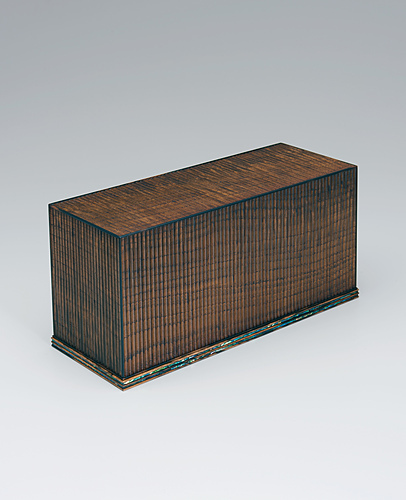 Box of jindai chestnut wood finished in wiped urushi.